Ah, summer heat. I miss knitting when it is cold. I love the cozy feeling of plopping in my chair with a mug of coffee by the wood stove with our dogs, Jack and Penny, curled up near me. I know cool weather is coming as a powerful thunderstorm rolled over Columbia County last night and dragged in drier air. It won't last, but it feels good to pull on jeans and wonder if socks are needed! With the light fading earlier at night, my thoughts turn to what knit accessories might be worked on now, so that when the first cold morning hits, my wardrobe is restocked. Our last hurrah to summer is SIP 'N KNIT 'N SPIN: Sunday, August 25: a garden party! Learn to how spin LONG DRAW and/or play with MITERED KNITTING, both of which can benefit from a sip or two of locally produced, New York State red wine. Sign up by Aug 20 here. Once September arrives, Countrywool's SHOP HOURS will increase to 3 days a week for the next 2 months. Watch this space, and the website, for details. AND, brand new this year: TECH TUESDAYS. You've asked for middle-of-the-week classes, and we'll try that idea next month. On tap is spinning, quilting, weaving and, of course, knitting. Do you remember the GANSEY WRAP class from this past summer? So many of you wanted to come but couldn't, that I thought you might enjoy knitting the project and have put together A KIT for you, featuring lovely super soft wool/alpaca RUSTIC TWEED yarn. The kit includes the pattern and enough yarn for the 18" x 36" CAPELET version, that can be worn as a buttoned (you'll need to add 3 buttons) poncho or unbuttoned shoulder wrap. If you LOVE the KNITTER'S PRIDE #3 or #4 needles pictured, there's an option to include them as well. Enjoy the simple act of knitting, the feel of wonderful yarn and needles in your hand and the peace a few minutes of this can bring to your day. Gansey stitch patterns are generally easy to memorize, allowing one to "turn off" and glide along. we mentioned on our page. If you need class time for help, it is all set up. Otherwise it will be an on-line FREE project. Mark your calendars!!! and get links to free patterns, so LIKE THE PAGE! Watch the next newsletter for our FALL SHOP SCHEDULE! May has BOUNDED into Columbia County with lots of sun and fabulous weather for being outdoors. And, we all enjoyed 60* temps and crashing waves as promised at the Cape Ann, MA, Retreat two weeks ago. Knitting at the beach is the perfect activity for April! Water, sun, clear skies...do we think Spring has FINALLY arrived in the Northeast?!? So much enthusiasm reigned for the sweet and trustworthy craft of Gansey knitting that the up-and-coming Gansey Wrap Project appeals all the more. The class on May 12, which runs from 11am - 2pm, is structured to help you learn these stitches and get a little of the history of this age-old knitting style to boot. Do you enjoy the simple act of knitting, the feel of wonderful yarn and needles in your hand and the peace a few minutes of this can bring to your day? Gansey stitch patterns are generally easy to memorize, allowing one to "turn off" and glide along. The monthly summer class will explore as many historical stitches as the class desires, and new knitting instructions will appear in your e-mail each month to keep you going. As a bonus, if you are part of the class project and pick out a stitch for us all to learn, you will get your name on the pattern that results from this. 6 Knit reference books will be at class to help everyone get acquainted with the possibilities. Sign up for the May class here. And a reminder to SPINNERS... Countrywool's new monthly workshop will feature a spinning project. To start things off in May, we will have a LEARN TO SPIN basic overview for those of you who have not been working at your wheels for a while, which would be PERFECT for brand new spinners. The workshop will run from 10am - 1pm. Sign up here before May 8! Have you checked out our page on yet? and get links to free patterns, so LIKE IT! April has ambled into Columbia County still quite chilly, and I spend my days in my Mossy Vine Sweater hoping for the sun to peek out for a while. For those of you who cannot join us at the ocean, Countrywool will offer a GANSEY WRAP project at our NEW monthly Knit & Spin workshop that starts in May. Plans for this traditional shoulder covering include using stitches from Polperro, Scarborough, Whitby and Staithes. Learn a little history and knit along with us this summer! This project will require that you can knit, purl and count. That's it! This pattern will be directed by YOU, making this a unique group effort by those who attend and you will be credited as part of the design team! As mentioned, Countrywool's new monthly workshop will feature a spinning project. To start things off in May, we will have a LEARN TO SPIN basic overview for those of you who have not been working at your wheels for a while, which would be PERFECT for brand new spinners. The workshop will run from 10am - 1pm. The dates will be determined by an e-mail poll after enough folks have signed up, so look at your calendars and make your plans! March roars in like a lion...well, it actually has felt like an early spring here in Columbia County. Today is a bit nippy with snow showers, but we have lost our snow cover and we reach 40* every few days. The worst of the cold has receded, also, and the daily leg warmers I have lived in since Christmas are sitting by the back door, waiting for the dogs to need a walk. Simple knits have become some of the most treasured items in my wardrobe over the years: a good pair of wool socks; windproof mittens; soft-as-a-bunny neckwarmer that can be a fabulous headband; a lacy scarf that doubles as a shoulder wrap and lastly my felted slippers. You can jazz up knitting and take it to technical heights, but you cannot improve on its ability to provide much desired comfort on a colder-than-expected day. Comfort clothing is something we would do well to appreciate and take good care of. It is next to impossible to find exactly what you want in stores or online when you are in need of it...how much nicer to be able to make it yourself, and how special indeed to make it for someone you care about. Knitters have a well of loving-knits they can bestow on their favorite people. Make sure you cherish that part of yourself when you count your blessings. Do you ever think you might deserve to nurture that? To allow that creativity within to indulge itself and grow even smarter? To go to places where you can explore that part of yourself? A last minute opportunity has opened up in my life so I can offer a 2 day knitting retreat April 17 and 18 in Rockport Massachusetts, in a fairy tale cottage right on Long Beach. I have contacted folks who have come to these events before, and they have just about filled the retreat, but there are 2 spots left. If you think you would like to see what these extraordinarily creative opportunities are all about, come and join us for Gansey and Guernsey Knits. We will focus on the timeless and beautiful knit-purl stitch patterns of France, England, Scotland, Ireland and Holland, and after getting some hands on experience with patterns including them, will hear a lecture on their history. Knit with soft USA wool yarn, cabled stitches, custom sizing....Join the last (for now) class of this once-a-month knit along class at Countrywool and learn the ins and outs of sweater knitting. Hate gauge swatches? You'll LOVE this original Countrywool pattern...no gauge swatch necessary!!! for the final time this spring. New Years Day only SALE!!!!!!!! Bring your friends and SHOP TOGETHER...your totals will be added together garnering a BIGGER DISCOUNT for all! regular winter SUNDAY HOURS start on January 6. Greetings all you intrepid knitters! With the new year right around the corner, those of you who know me know that I HIGHLY recommend starting it off with empty and newly polished needles, with an organized yarn stash, allowing just a SINGLE PROJECT to remain on the needles for finishing in the New Year. If you are a spinner, all bobbins should be empty and polished by the New Year. This is to encourage a space where you can be creative, free and genuine, not encumbered by the past. Some of you think I am nuts to rip out a sweater that is 2/3 finished, but I’ve done it. One can lose steam or love for a project, or the match between needles/yarn/pattern was not a good one. Give yourself a dose of forgiveness and move on. If you can’t rip something, give it away. Salvation Army LOVES stuff like that! In the meantime, enjoy this FABULOUS video about how obsessed we can become about knitting. Once we have greeted the New Year properly, we'll need a new project! Two have garnered many votes, and I present them to you here. The first will be an on-line Knit A Long for SWEDISH SOCKS. The pattern is available for purchase and can be downloaded or picked up at the shop. Directions are available for 6 sizes from child through extra large adult. This class has no fee and does not meet except virtually! We'll start this project JANUARY 2, on RAVELRY (click right here), so stop by, introduce yourself and let's get chatting! The 2nd is the CELTIC PLAT ARAN SWEATER. Knit with soft USA wool yarn, cabled stitches, custom sizing....what better time to tackle a warm and timeless sweater project than in early January! Join this once-a-month knit along class at Countrywool and learn the ins and outs of sweater knitting. Hate gauge swatches? You'll LOVE this original Countrywool pattern...no gauge swatch necessary!!! Do you have another sweater you would rather tackle? This is the class for that, too. Perhaps you have a project already started you need help with...bring it along and I'll help you get it finished. This class will meet the first Sunday of each month until the spring. Sign up for this class NOW! The solstice is on the horizon Long nights, holiday lights and peaceful times are around the corner. And so is the COLD WEATHER! Knitting needles and yarn never felt a more immediate need. I am finding that chilly mornings call for a few layers to wear IN the house as I start my day, and evenings sitting while knitting do the same. Having a shawl or moon shaped scarf around certainly does the trick. Scarves and shawls are such EASY KNITS...no gauges to consider! and is an easy to knit COUNTRYWOOL original pattern! Need mittens for someone on your list? Don't forget our BUNNY BALM, SUPER BUNNY BALM, BUNNY LIPS and HANDMADE SOAP products as you look for stocking stuffers. Good for you ingredients in each and made here at Countrywool! 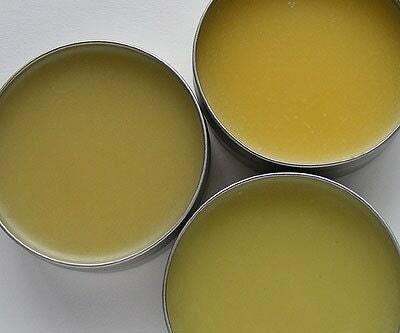 The BUNNY BALMS are meant to be used to coat your dry hands before you knit so yarns don't snag (all natural ingredients will wash out in the final wet-blocking process), but runners are finding them FABULOUS for softening the callouses they get on their feet. Can't decide on a present for a knitter in your life? Want a great universal gift, or one for yourself? How about a COUNTRYWOOL GIFT CERTIFICATE? ...Felted Footies, just in time for the coldest part of the year. Then we'll take a break for the holidays. But wait...there will be a NEW YEARS DAY SALE to ring in 2013! hours change in December so check the website! shawls, hats, baby sweaters and socks for sale. they make GREAT stocking stuffers! 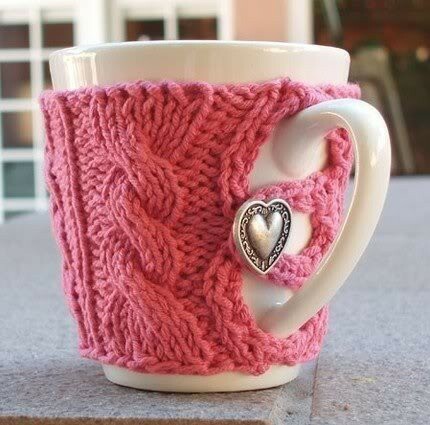 COFFEE CUP COZY(below)...Sunday, November 25, 12-2pm. and get links to free patterns. AND...watch this space for NEW CLASSES next year! Brrr... cool, damp dark weather has been the norm this past weekend. Sure is nice to sit with wool and needles in the evening. I am working on a mitten pattern for the RETREAT this weekend, to match the FAROE BLOSSOM Hat and Sweater. It shoud be ready and up on the web for sale by November 10. Speaking of the retreat, this will be the last one for the foreseeable future as the weekend retreats are going on sabbatical. The econony and knitters changing needs are pulling at my little business. Time to regroup, reassess and find what matters most. Who knows what will emerge, but you can be sure it will be what folks are asking for! Do let me know what you are looking for, as I am looking for that as well. Friday through Sunday, November 2-4: North Atlantic Knitting Techniques at Winter Clove Inn, Round Top, NY. Come and relax with a fabulous group of knitters while you learn a few new things and laugh a lot. $175 for the classes; $230 for your room and meals. Bring your friends and have a grand time in the gorgeous Catskill Mountains. and the stock here is deeply discounted. Don't forget...that is where you will hear of sales FIRST and get links to free patterns. Did you see this GORGEOUS shawl that we will be having a FREE knit-a-long for at SIT 'N KNIT on November 11 at 2 pm?!? O' dark thiry arrives here pretty early most rainy evenings, allowing me to pull out my knitting, and this October has had a surplus of them so far. I am knitting up a storm: felted footies; reversible cable scarf; lace knee sox, leaf cowl... and the stash still draws me to start yet ANOTHER project. 2 strands of Brown Sheep's Lamb's Pride Bulky or Lanaloft. FOR SPINNERS: I have been hard at work carding up wonderfully soft and easy-to-spin colored rovings with Countrywool angora, dyed merino wool and natural local Cormo wool. This is a seasonal effort on my part (it takes 2 hours to card 8 ounces) and the bunnies produce only so much each year. These pretty creations do not stay on the shelves long, so get 'em while they're here! NEW! Learn to crochet and make the prettiest of granny squares! The African Flower has become one of the most popular patterns out there, and guest teacher Wendy Wolosoff Hayes has created beautiful throws with these flowers. Her harmonic sense will delight you as you get to create with color on a quick and satisfying scale. Price $25.00. Prepayment required. Sunday, October 28, 11-2 pm Spin A Yarn. Ever wonder how it was done? Do you have sheep, alpacas, llamas, bunnies, sheep dogs or mohair goats in your life? Fashion yarn from their fur in a timeless fashion by hand on a drop spindle, or more quickly with a spinning wheel. No experience necessary to take this class! Handouts supplied. Call Columbia-Greene Community College (518)828-4181 to sign up. Price $36.00. .
We still have 6 spots left!!!!!!! Don't forget...that is where you will hear of sales FIRST and get links to free patterns. October has brought rain and overcast skies to Columbia County. With dark encroaching on the evenings earlier and earlier, I have been pulling out my knitting sooner than I thought I would at the end of each day. The deer are seriously sparring in the field outside Countrywool and a few geese are heading south. The squirrels are FRANTIC this year, burying black walnuts, hazelnuts and acorns. Are they trying to tell us something? Last winter was so mild we might be blase about how bitter a winter can be. With heating costs escalating, it's not a bad idea to think about how to keep warm without setting the thermostat up high. Natural fibers enhance and envelop the body, creating an air layer of warmth and comfort. Wool, alpaca, mohair and angora all create their OWN heat to add to the wearer's. Warm feet = more comfort in the house, and a loose shawl wrapped around the neck can take away any sudden chill. These two items are VERY easy to knit and numerous free patterns exist to help you on your way. They are a great way to use up that stash you have been accumulating, too! For the month of October, if you stop by on our Sunday SIT 'N KNIT from 2-4 pm, and want to make FELTED FOOTIES, I'll be glad to help by handing you a free pattern and holding your hand as you work through them. These slippers get made with 2 strands of yarn on HUGE needles (bottom slipper) and then are unceremoniously thrown in the washing machine to felt them into smaller and more durable footwear (top slipper). I wear them in my crocs to go outside at o' dark thirty with my dogs! Even in January! Don't forget...that is where you will hear weekly sales FIRST and get links to free patterns. Next week's class: OLD SHALE SHAWL...sign up on Monday!!! Sunday, October 7, 11-2 pm. Lace Knitting: Old Shale Shawl. Learn to knit lace. A traditional lace pattern will be taught using an original COUNTRYWOOL design. Learn increasing and decreasing in pattern; provisional casting on; and sewn off binding off. Learn to read charts. If you can knit and purl and count, you can make this shawl! Call Columbia-Greene Community College (518)828-4181 to sign up. Price $36.00. Sunday, October 14, 12 noon - 2 pm. Class 2: Plotting the pattern. Using a sweatshirt or sweater that fits as a guide, students will plot THEIR measurements on an original Countrywool Raglan Sweater knitting pattern. Using the hat from class 1 OR any gauge swatch brought to class, each student’s UNIQUE KNITTING GAUGE will be identified and used to fill in the pattern’s blanks with specifics so the sweater will fit well after it is knit.. The ribbed bottom edge will then be cast on and knitting will commence. Handouts supplied. $35. Prepayment required. Sweater or sweatshirt that fits you well. Sunday, October 21, 11-2 pm: Felted Knitting: A Shopping Bag. Learn to felt your knitting. Make a reusable shopping bag with left over wool, mohair, angora and alpaca yarns from your stash, or pick up a FUN kit of mixed wool colors at the class. Learn to knit in the round in the magic loop style with one LONG circular needle. If you can knit and purl and count, you can make this bag! When you are done, simply throw it in a washing machine and let it felt. All instructions included. Call Columbia-Greene Community College (518)828-4181 to sign up. Price $36.00.